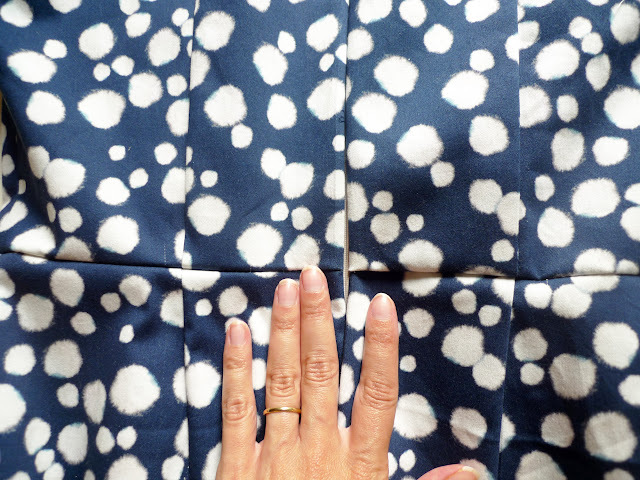 Today our dress really takes shape! Click here to catch up on Day 1, Day 2 and Day 3. 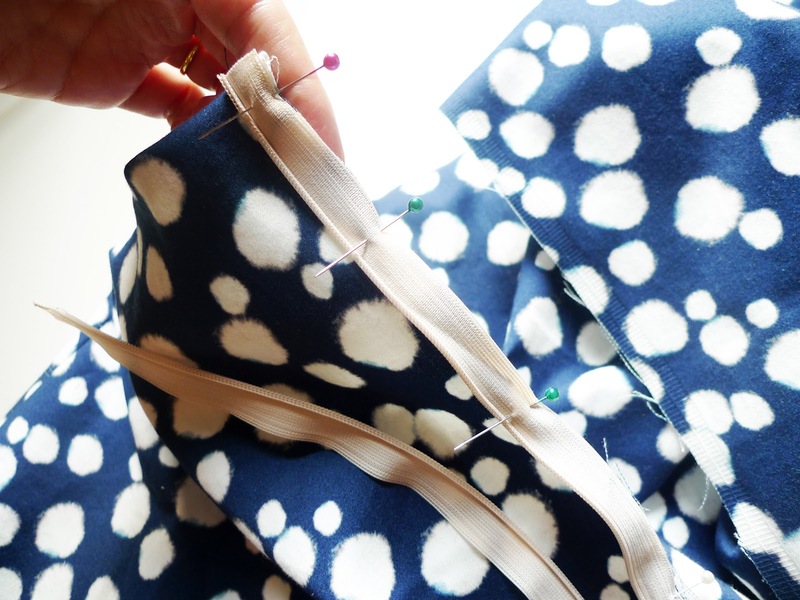 Day 5 - Making the kickpleat, finishing the hem and finishing touches. Match the bodice and the skirt at the waist seam, right sides together, leaving the lining free. Starting at the centre front, stitch around the waist to the centre back (in the direction of the darts). 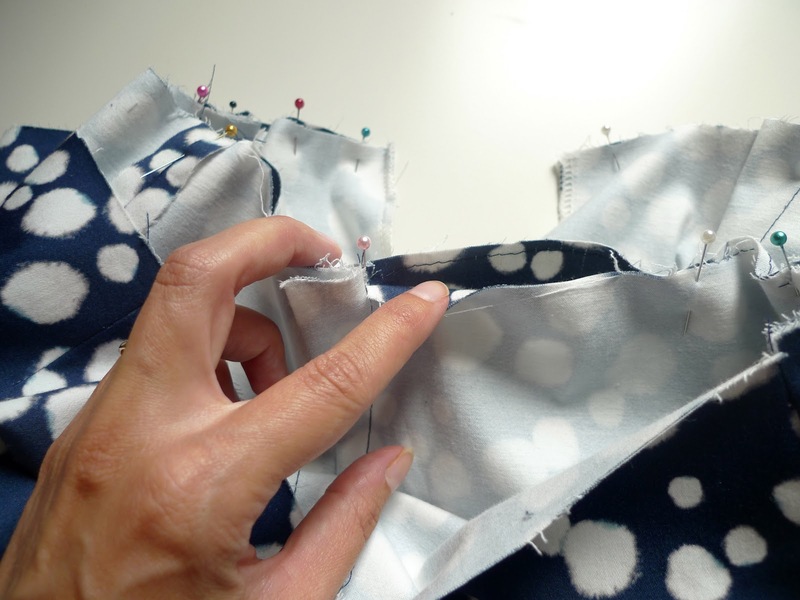 Press the waist seam allowance up against the bodice. 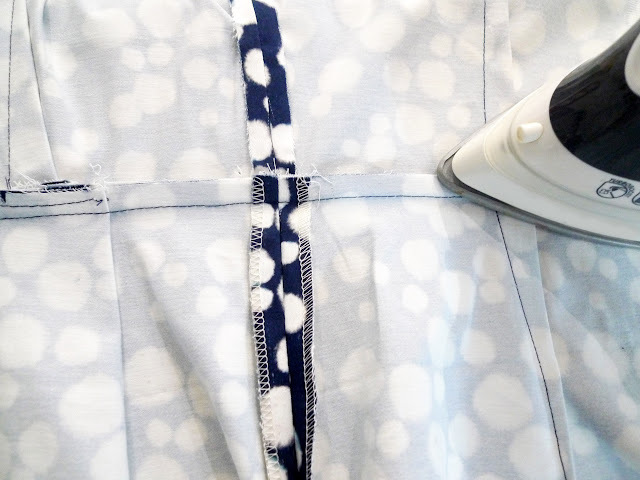 With the tip of the iron, press the groove between the zipper teeth to uncurl. This is what it will look like when the zipper is closed. Trim the excess ribbon at the top of the zipper. 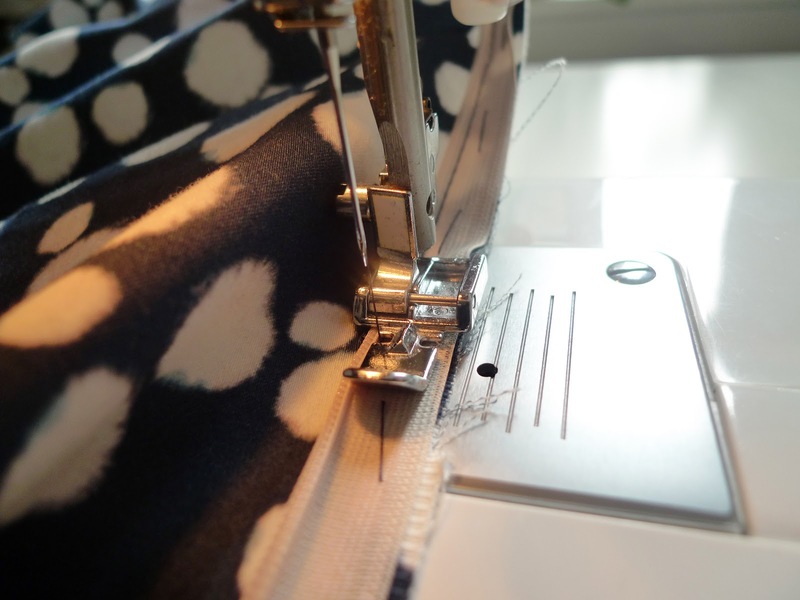 If you are making Version 3 of the Basel Dress, you will have to trim the base of the zipper as well to your desired length, which will vary depending on your size and personal preferences. 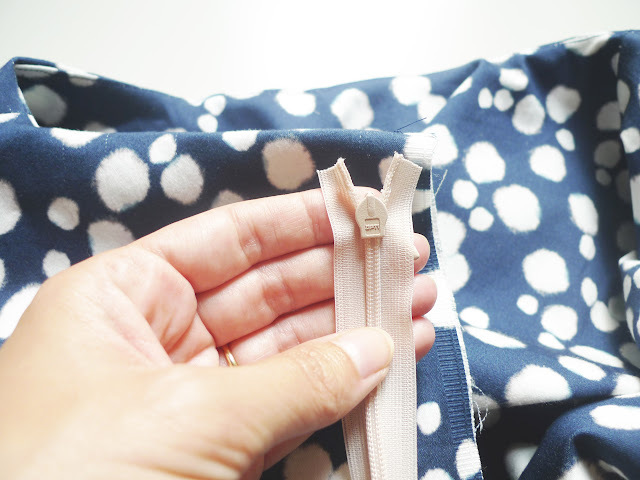 Make sure you leave it long enough so that the opening lets you get the waist over your hips or shoulders / chest (depending on how you put on the dress). 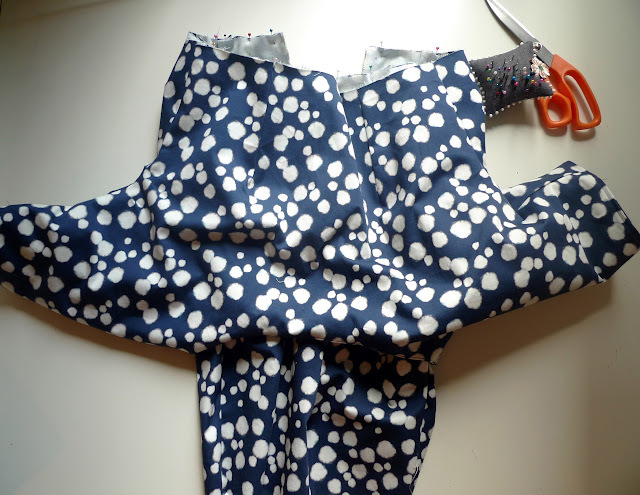 Pin the left leg of the zipper, top side down, to the left side of the bodice with the smooth side of the left leg matching the centre back. 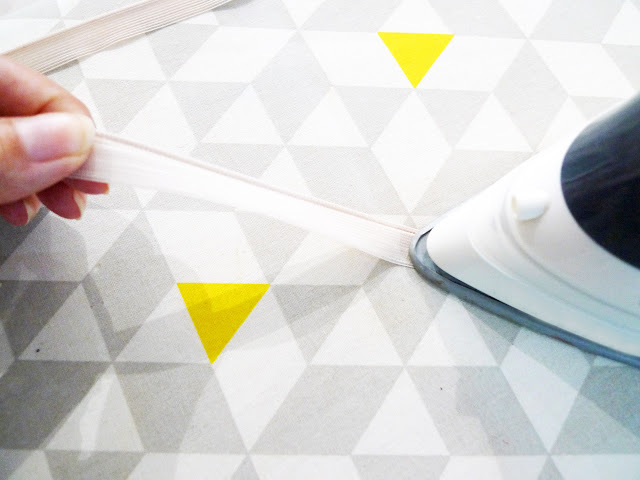 Leave the lining or self lining free. Make sure the waist seam, where it meets the zipper, is "up" against the bodice. 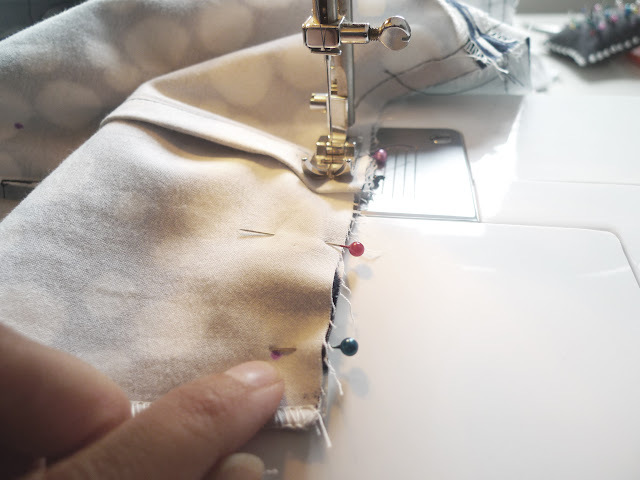 Baste in place by hand using long stitches. Using your zipper foot, stitch the left leg of the zipper in place. With the left leg of the zipper in place, we want to make sure that right leg matches up perfectly - so that the waist seam also matches up perfectly. 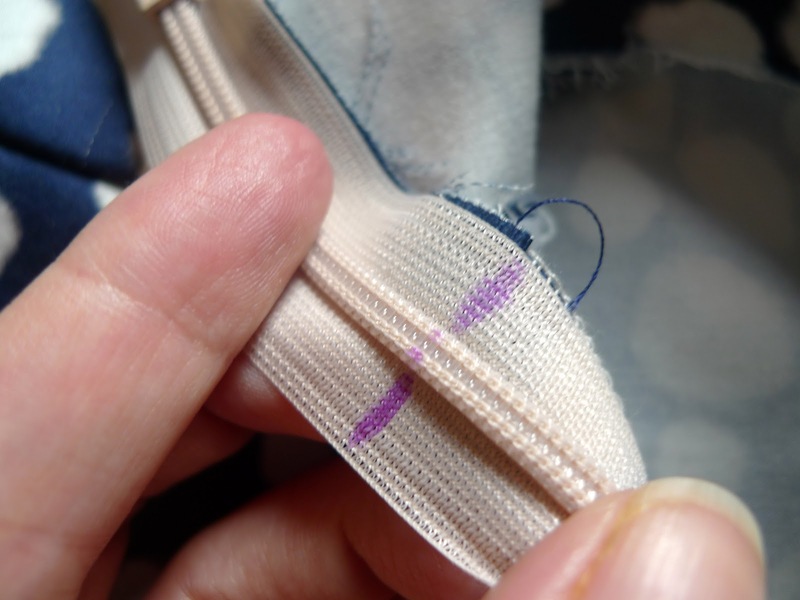 At the waist seam, use your fabric marker to mark the point where the stitched left leg overlaps the waist seam. 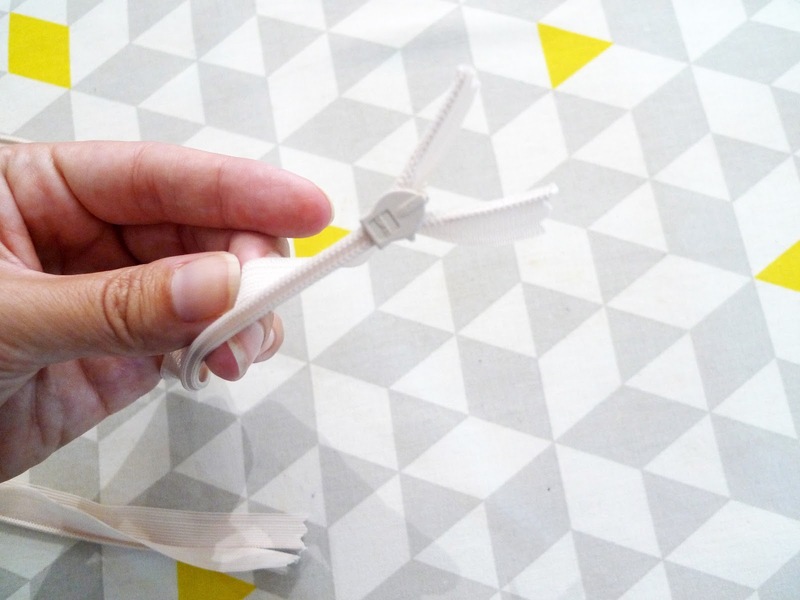 Zip up the right leg of the zipper, and transfer to the other side directly opposite. 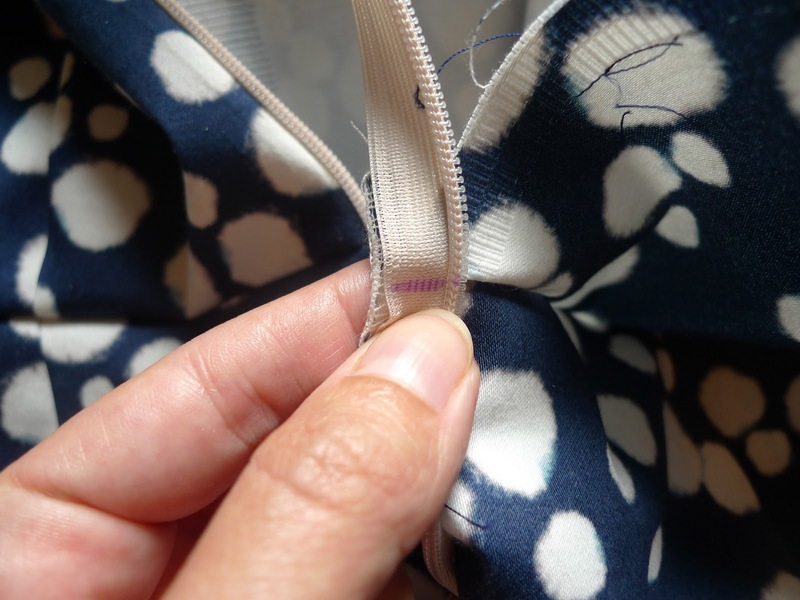 Starting at this point, on the right hand side of the garment, match the notch on the right zipper leg to the right side of the shell, right side down (or with the smooth side of the zipper matching the centre back). 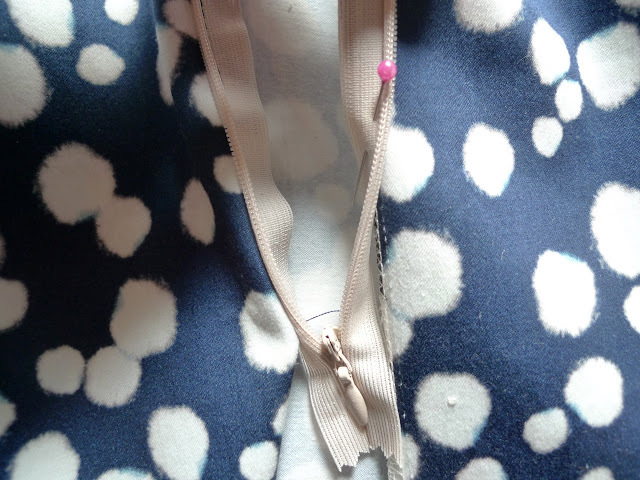 Pin in place at the waist seam. Pin the rest of right leg, above and below the waist seam, to the shell. Repeat steps above (baste, stitch). 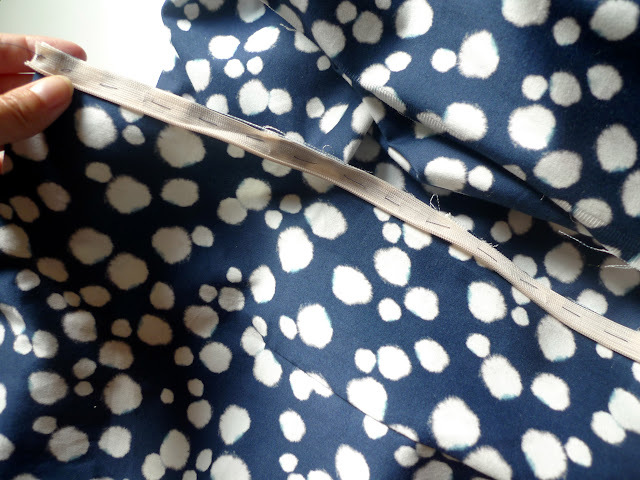 When you are finished you should have a perfectly matching centre back waist seam. 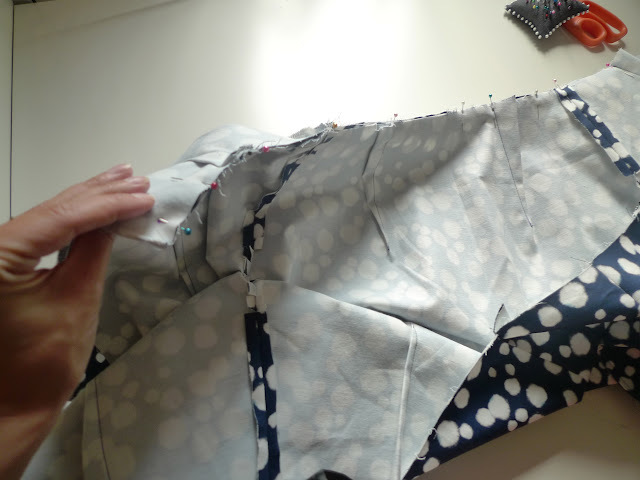 The rest of the skirt, below the zipper should still be left unstitched for tomorrow's task - the kickpleat.